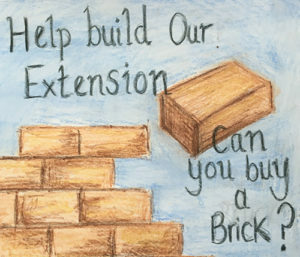 As part of our on going fundraising efforts to build a flood resilient classroom extension our FOBS group have created a ‘Buy a Brick’ Campaign. We are asking you to make a donation with a minimum of £20 to contribute to the building project. You can use the PayPal link below to make your donation and your name will be added to a commemorative plaque which, in turn will be displayed in school as part of its rich history for years to come. We would like to thank you in advance of your generosity. Every penny makes a big difference in a small school! Please read this letter regarding the project and share it with your friends and families too!